We are in the second week of this marathon and for this week I have chosen to cook Brunch Ideas for Kids. 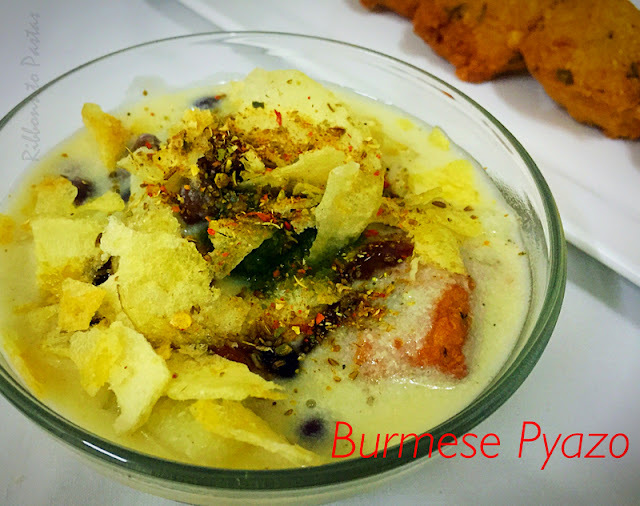 For the very first day I have a Burmese dish. This is a complete meal, very healthy and equally delicious. This is one meal which is made quite often in our house. Don’t get put off by the long ingredient list, it’s not that tedious. Well though it is a little time consuming, but totally worth it. Add the green chillies and grind the dal coarsely. Grate the coconut add 6 cups water and allow to stand for a while. Blend and strain to get coconut milk. Heat ghee and fry cinnamon and cloves. Add the potatoes,black Chana, coconut milk, flour, Besan, Chilli powder and salt. Roast the spices and powder. Place the wada into a bowl. Pour the boiling curry over the wada. Sprinkle crushed wafers , onions and spice powder. Omg, i dont mind having this Burmese pyazo happily for my brunch, extremely tempting plating. 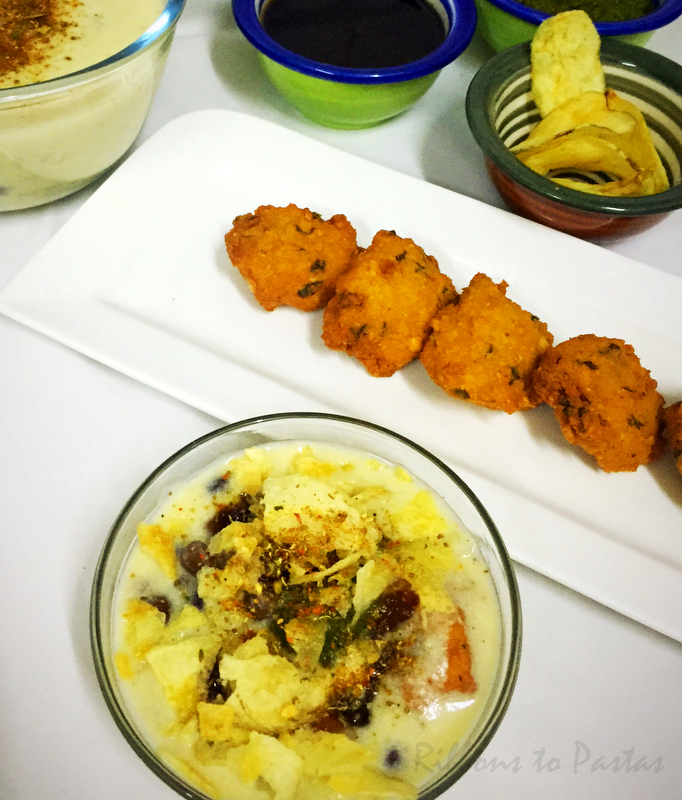 Sounds very interesting Vaishali…and not to mention makes a filling brunch! A very interesting dish. A combination of a lot of delicious flavors. That is very interesting dish! That would definitely be a fulfilling brunch. What a filling and delicious looking dish. Love all the components, wada and potato curry and both put together must have tasted awesome. This is one bowl of delicious filling meal. 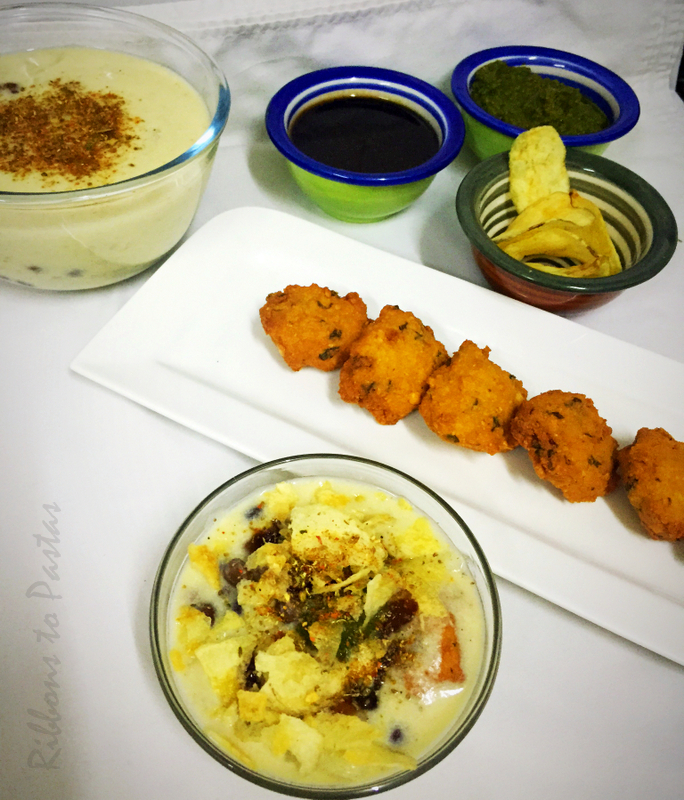 I love that coconut based potato curry and the way you have served the wadas.. Such a delicious and filling brunch.Looks appetizing. 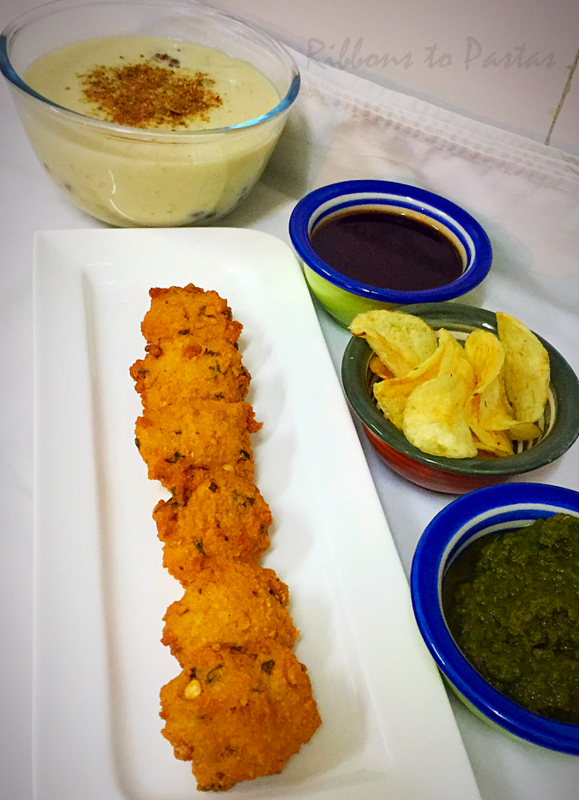 Interesting combination of flavors, Vaishali!